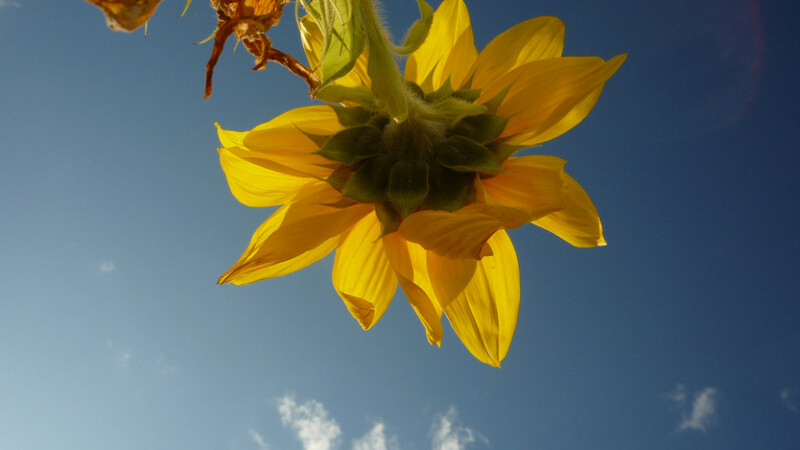 "Sunflowers" by John Morgan, used with permission under CC BY 2.0. Source. With the Harvest Full Moon just 3 days away in the Western Hemisphere, Labor Day has come and gone (and people are still wearing white, ¡qué horror! ), families are getting ready to send their children to school, teachers are getting ready to teach them, temperatures have started to drop, Duane Reade has already started their Halloween display, and people are donning their light jackets, we continue in our segue towards Fall. This blog post is the first of three in the series, “Gathering The Energies Of Fall”. In the coming weeks, look out for “Part II: The Mind”, and “Part III: The Spirit”. I’ll explore how to make the most of Autumn energies in this blog series, and this post focuses on The Body! In Chinese Medicine, this means that we are reaping the harvest of our work in the past few months, organizing and taking inventory of what’s been done, and what’s to come, becoming more introspective about our work, and the beginning of the Yin cycle. For more info about Yin, check out my previous blog post, “The In Of Yin And Why It Pays To Be Like Bruce Lee”. It is also the time of Metal, the element of Fall in Chinese Medicine. The Metal organs of Autumn are the Lungs and Large Intestine. Just as every organ in Chinese Medicine has physical attributes, they have spiritual ones, too. In this post, I’ll be focusing on the physical aspects. The Lungs physically draw in, and release, air, a basic, but vital, function of life. In Chinese Medicine, the Lungs have been called, “the office of (prime)minister on whom rhythmic order (=specific function) depends”. Literally, without our Lungs, we are unable to receive energy, take in our surroundings, and all of our bodymind rhythms are affected, including bloodflow. Symptoms like asthma, bronchitis, shortness of breath, COPD, among others, may arise when our Lungs’ functions are impaired. The Large Intestine’s claim to fame in Chinese Medicine is being “The Great Eliminator”. Yes, it is everything you’re already thinking it to be, physically and energetically! The storage and elimination of waste is this organ’s main concern. What are some of the glamorous symptoms we may experience when the Large Intestine is unbalanced? Some of them are: bloatedness, swelling, constipation, emotional stopping up, bad acne and boils, headache and stuffy nose. Take note that it is also important to have an Acupuncturist assess how your organs are working together to diagnose if your symptoms are due to an unbalanced Large Intestine, or if it’s in conjunction with other organs, because we humans can be quite complex at times! Be good to your nose. Not only is your nose the sense organ of the Metal organs (and, thus, Fall), but it is associated with breathing and elimination. It lets us know if we’re able to receive energy via breathing. So, if your sense of smell is amiss, do a check in and see if your Lungs and Large Intestine are in balance! Mucous is your friend (in balanced amounts.) The fluid secretion associated with Metal is mucous. It is important that our mucous membranes are properly secreting moisture to the mucous membranes of the body, as well as the linings of our air passages. When we are deficient in mucous production, we may feel dryness of the throat and nose, coughing, difficulty breathing, raspiness of swallowing, or even speech problems. On the other extreme, if we are experiencing constant nasal drip or sinus blockage, the Metal element is calling to be looked at. Skin is in. Skin is the part of the body governed by Metal, the element of Fall. So, skin problems like eczema, psoriasis, and rashes may indicate an imbalance in the Lungs. And, since the skin breathes, it is a way for toxins to be released. As I will mention in a one of the later blog posts of this series, letting go and grief are the emotions for Fall, and part of the Lungs and Large Intestine’s need to detox and let go will be through the skin. This may result in acne and boils, our body’s way of getting rid of waste through the skin. Pungent foods will help purify and protect you during Fall. Although I mentioned this in a previous blog, it’s worth noting, once more, as it’s the flavor of Metal. It disperses the stuck energies of the Lungs and colon. Hot pepper and chili are pungent, and white pungent foods are great too, since white is the color of the Metal element. Some white pungent foods are: onion, garlic, turnip, ginger, horseradish, radish, daikon, and white peppercorn. Mucilaginous foods renew the mucous membrane of the Lungs and colon, and can be sourced from seaweeds, kombu, marshmallow root, flaxseed, and fenugreek. Add moist foods to your diet. Not only will this help combat the dryness, but this is what’s called “seasonal eating”, or, eating with the seasons, which is the best way to enjoy your food! Some moistening foods are: spinach, barley, millet, pear, apple, persimmon, loquat, seaweeds, black and white fungus, almond, pine nut, peanut, sesame seed, barley malt, rice syrup, eggs, clam, oyster, mussel, herring, and pork. And buy locally! Not only to get the best quality produce that you know are not chock-full of pesticides, but because it also supports our local farmers, and propagates a healthy economy that includes the vitality of farm-grown products! Are you already harvesting your energies for Fall through the physical body? Howling at the Harvest Moon with you! Copyright © 2013 by Alcantara Acupuncture & Healing Arts. All rights reserved. You may quote, copy, translate and link to this article, in its entirety, on free, non-donation based websites only, as long as you include the author name and a working link back to this website. All other uses are strictly prohibited. All information on this website is my own opinion, and not to be taken as medical advice. Reliance on any information provided on this website is solely at your own risk. Please refer to your medical practitioner before making any medical decisions. Really cool information! Thank you for enlightening! Thank you for reading! I hope it was helpful.